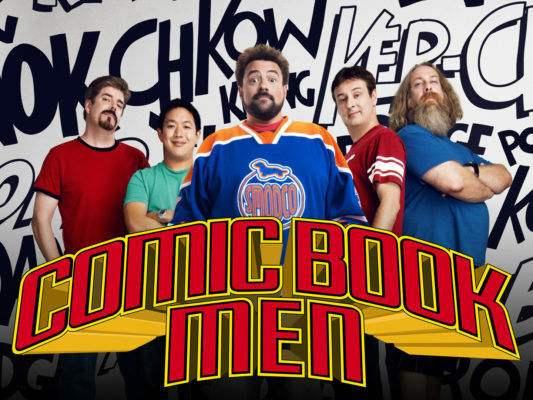 The end has come for Comic Book Men. CinemaBlend reports AMC has cancelled the TV show after seven seasons. The reality series follows Kevin Smith and friends as they “dive into the world of geekdom.” Previous guests have included Mike Colter, Rosario Dawson, Burt Ward, Method Man, and Robert Englund. What do you think? Have you seen Comic Book Men? Are you sad it’s been cancelled? More about: AMC TV shows: canceled or renewed?, Comic Book Men, Comic Book Men: canceled or renewed? The show was usually on at 12 am on Mondays, eastern standard time. Unless you DVR it, you probably won’t see it. A lot of people are in bed by then. Loved it, i will miss it.